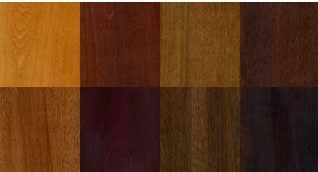 Just a few examples of wood dye stain colors. Applying aniline dyes today is very simple compared to how it was done in the late 1800s! Aniline dye was invented in 1856 and over the course of 150 years it has become easier to apply to woods and textiles for the purpose of adding color. Aniline dye has been used as a method of adding color to wool, leather, wood, and other surfaces for many years, and it is one of the top choices for wood furniture manufacturers because of the dye’s ability to penetrate the surface and produce a transparent finish that highlights the wood’s grain. It is also a substance that is commonly used by novice and professional wood re-finishers that want to add a translucent color to furniture. One of the easiest and most dramatic ways to change the look of a piece of wood furniture is to alter its color. In fact, a boring piece of wood furniture can be completely rejuvenated with the addition of highlights. If the thought of applying aniline dye to the furniture that you are planning to refinish makes you nervous, the best thing to do is conduct experiments on scrap pieces of wood. Make sure to try dying various types of wood to see how different grained woods look when various colors are added to them. 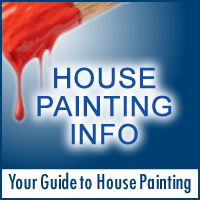 Aniline wood dye and wood stain are both used for similar purposes – to add color. However, many prefer the end result that can be achieved only with aniline dye. Aniline dye is known to produce even colors, it does not blotch, and it dries with a clean look. Wood stain, on the other hand, is prone to penetrate certain types of wood unevenly and also to produce a more muddy-looking result. In general, there are two classifications of aniline dyes: liquid and powder. In order to create a dye that can be applied to wood furniture, either kind of dye must be diluted in a solvent – usually denatured alcohol or water, and when the desired color is achieved, it is ready for use. Mixing Dye Powder: Dissolve the powder into very warm distilled water. A good mixing ratio is 1 oz to 1 quart of water to start. The same ratio holds for solvent mixing. Mix the 2 components and allow to sit for a few hours to settle out any undisolved solids. Test on a scrap piece of wood, the intensity can be changed by adding more dye or more solvent. Strain the mixture before using. Mixing Liquid Dye: Liquid dyes are pre mixed and concentrated for convenience. These are added to the desired solvent. The ratio depends on the manufacture; follow the guidelines from the manufacture when mixing liquid wood dye. Applying wood dye is quite simple. Water based dyes can be applied with a clean cloth, sponge, a paint brush or a paper towel. Dye can also be sprayed using a cup gun, HVLP sprayer. Alcohol dyes should only be sprayed as they dry too fast for other application methods. Before applying any wood dye fully prep the wood by sanding with medium fine sandpaper, 220 grit. Now raise the grain by wetting with water and allow the wood to fully dry. Resand to remove the raised grain with a final sanding of 320 grit. Apply in sections or pieces at a time; example- legs, sides and top. One problem that can occur is overlapping, a darker area where 2 applications meet. Blend two areas together by allowing the dye to dry then use the same solvent to dissolve and wipe up the excess. Overlapping can be reduced by prewetting the surface with the solvent and flooding with dye. Work fast and remove any excess. Spraying is the easiest way to apply wood dye stain and allows the greatest control over color intensity. Using a cup gun will give you great control over the volume and area covered. Allow the dye to dry for 24 hours and then seal it with a clear wood finish. Any type of wood finish can be used. Aniline dyes are great for adding color to wood, but they are not recommended for use on furniture that is regularly stored outdoors. Hence, aniline dye should not be used on patio furniture or outdoor wood decks. When exposed to direct sunlight, aniline dyes have the propensity to fade. Therefore, even indoor furniture that has been dyed should not be placed in the vicinity of windows that receive direct sunlight. Wood dyes can be intermixed for custom colors or different colors can be applied one at a time for various effects. If applying more than 1 coat make sure to wipe off the wood with a clean rag or paper towels and remove any loose dye particles before applying another coat. Sand the surface of the wood that will be dyed to ensure that all scratches and dents are eliminated. Do not empty an entire container of dye into the solvent. Make sure to add the color gradually or the resulting hue might be too bright or too intense. Follow the instructions on the side of the container of dye for mixing, diluting and cleaning.